A couple of weeks ago Sencha has introduced new version of their flagship product: ExtJS 5. After “slow and heavy” ExtJS 4 this version is expected to be the best ExtJS release ever. In next few chapters i will try to explain you why. Notice: Two-way data binding means that each change to model will automatically update related view and each change inside to view layer (e.g. in form) will be mapped to the model. With new ExtJS5 we don’t even have to use the standard concept of controllers because framework introduced ViewControllers instead. 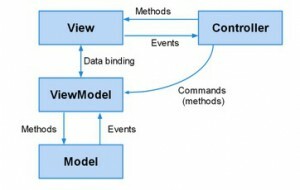 ViewControllers are related to given view and are listening for events from that views. All view logic related to given view should be implemented in their ViewController. 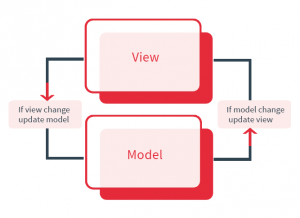 Notice: ExtJS 5 provides full backwards compatibility for MVC and supports both paradigms so that developer can choose if they want to automate the connection between View and Model (ViewControllers and ViewModels with data binding) or use simple MVC. The primary role of ViewModel is to provide data for its view and as ViewController is managed by view that references to. It is recommended to use Sencha CMD in process of building ExtJS application. More about sencha MCD can be found here. This route will listen to the #add hash and will execute proper method – in this case onAdd method that will create e.g. add new user form. Using routing component in ExtJS5 apps is not required but is really easy and powerful. 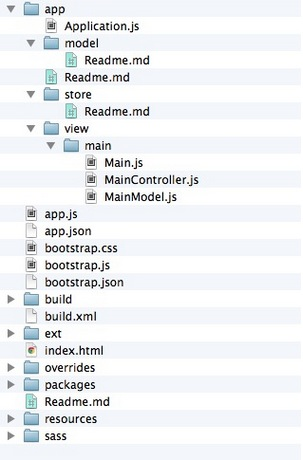 Full list of features introduced in ExtJS 5 can be found in official documentation. New ExtJS5 is really awesome framework and introduces many great features, defining a consistent architecture for organized code. With MVVM concept writing single page app is easier and more powerful. We are going to give ExtJS5 a shot with our upcoming new project. MVVM would be great if it actually worked more than one level deep. It is slightly better than their MVC architecture (which wasn’t really MVC) and like most things from Sencha, they’ve only half implemented MVVM and left the rest to our imagination.